when you think of mark. cosmetics you think of lipsticks, blushes and powders. while mark does offer all those goodies they also offer clothing and accessories. surprised? me too. i love the mark. products and i am forever an Avon girl (the big sister company to mark.) it is one of those makeup lines that has stood the test of time and consistently releases great products. they may not be the most popular girl in school (MAC) or the most edgy (Urban Decay) but they are the Senior Class president with a stunning resume for college. not a bad place to be. when i learned of the offerings from the fashion side of things i was definitely interested. i like how the collections have a cohesiveness to them and are simple to mix and match. 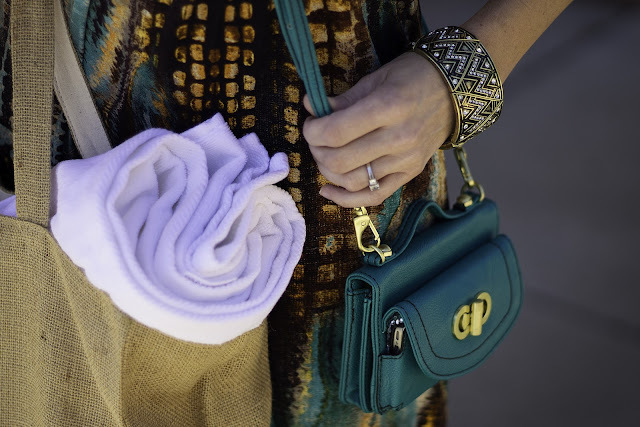 at times you can get a little too matchy-matchy (turquoise watch, torquoise purse, turquoise dress) but putting together an outfit that is chic, current and perfect for the season has never been easier. 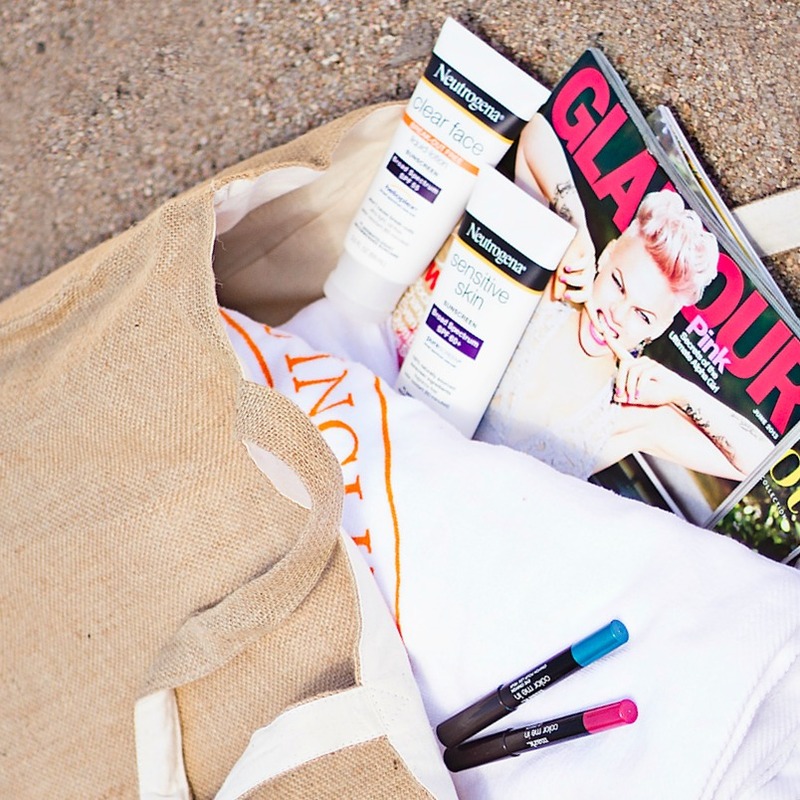 no trip to the pool would be complete without sunscreen and makeup (for touch-ups of course!). i don't care what your age you should always be rockin' sunscreen. get your tan from the bottle and protect your skin using the latest formulations from Neutrogena. no more excuses of 'it clogs my pores' or 'it's too greasy'. Neutrogena has solved all of those problems by introducing sunscreens that go on light as a moisturizer and won't clog your pores or leave your skin greasy. go ahead and lay out, soak up the sun, just be sure to protect your skin before you do it. mark. Color Me In lip and eye crayons are the perfect portable solutions for makeup touch-ups on the go. with these you don't have any excuses not to look good. Amen to sunscreen, Kristie! I love your gentle reminder to wear it and you fabulous hat!